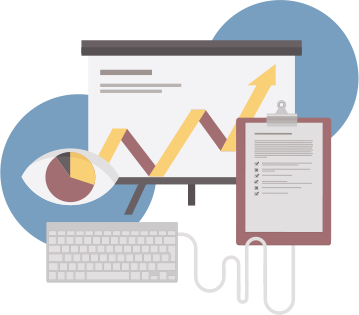 Today, business-to-business (B2B) focused companies understand that poor search engine visibility is no longer an option. Your profitability depends on Google’s algorithm deciding that your website’s content deserves to be ranked higher than those of your competitors’. A good B2B SEO strategy has to juggle many moving parts to be effective. Google’s algorithm evaluates a number of factors to determine how high your website content will rank in the organic search results. Ultimately, you need to have a team in place that understands what these factors are and how to ensure your web pages and blog posts outperform those of your competitors. These can be divided into off-page and on-page SEO factors. 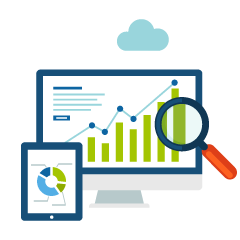 Our SEO team will analyze your current page performance and make adjustments as needed to ensure optimal performance. These include making content adjustments and recommendations for proper keyword usage, as well as ensuring that the content itself is as engaging and conversion-focused as possible. Off page SEO addresses those behind the scenes factors that may not be apparent yet are critical to getting high visibility. These can include everything to measuring site speed, managing backlinks, and performing regular maintenance activities that help Google decide to display your pages as high in the search results as possible. Sure, hiring an agency to do your SEO can bring you an increase in website traffic. But even if you manage to own the first spot for a given search term, flooding your site with visitors, it won’t translate into more revenue if the traffic doesn’t convert. Because you don’t need traffic; you need relevant traffic. Miromind takes a conversion-focused approach to all of our SEO efforts. This means that all of the traffic we deliver to your site will originate from relevant search volume. Our buyer-journey keyword research, targeted content marketing, multi-location SEO and B2B local SEO services ensure that only the visitors who want to buy your product or service reach your site – improving your ROI and boosting your bottom line. Attract Customers and Improve Your Profits! Since every industry has unique challenges and needs, taking a cookie-cutter approach to SEO simply won’t work. That’s why you need to work with an agency that understands your industry-specific problems. Miromind has helped dozens of B2B companies achieve their business goals over the past decade. We’ve provided expert digital marketing and B2B SEO services to a wide range of clients in the construction, retail, and services sectors. Plus, our B2B tech SEO services can improve the profitability of your software, technology or IT company thanks to our unique insight into the always-changing technology landscape. The majority of agencies don’t discriminate between B2B and B2C marketing. Unfortunately, these two processes require different approaches. Which is why you should work with the online marketing experts who understand what it takes to succeed in the business-to-business arena. If you’re ready to improve your profits through a dramatic boost in website visitors who are specifically looking for what you have to offer, get in touch with us today for a free B2B SEO services quote.